Published across Tales of the TMNT (Vol. 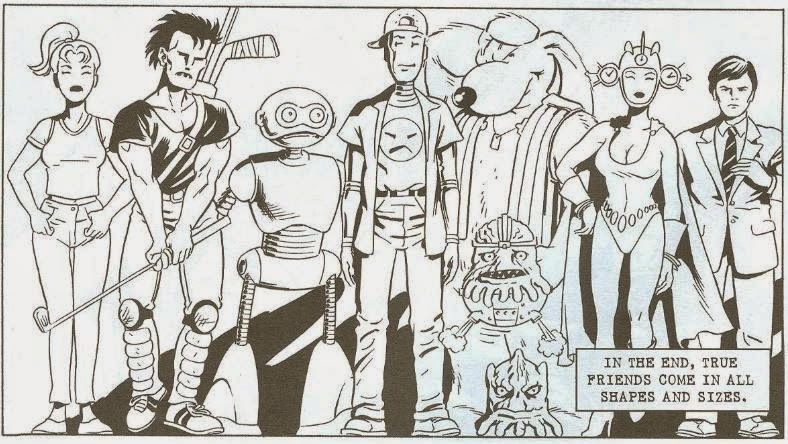 2) was a 6-part series of character-themed TMNT vignettes by author Will Tupper. However, having been scattered about the publication of that series (and two delayed installments only being published in the unofficial TMNT Vol. 3 #24), keeping them all straight could be a little difficult. Also, I imagine a lot of folks didn't even realize those back-ups were part of a thematic series.